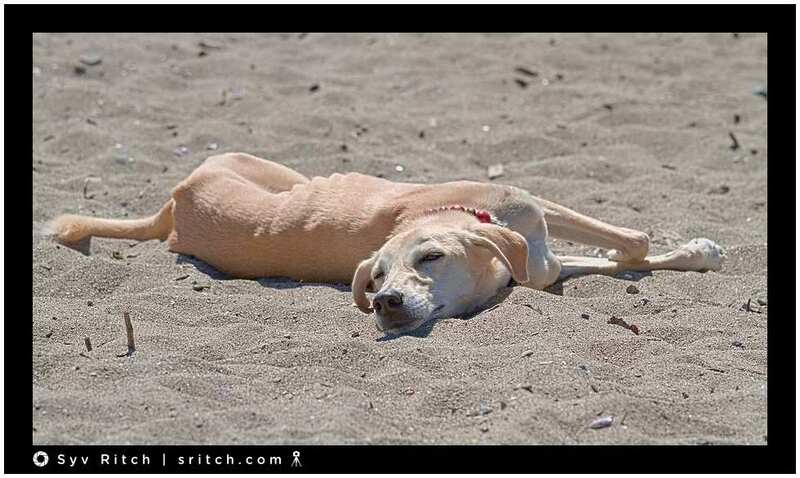 This Saluki was born in Afghanistan, he’s not very happy in Canada, the weather’s not very warm,, so whenever he comes to the beach, he lays in the warm sand and soaks the sun. The guy said, that it was a street dog and his wife, working as part of a NGO in Afghanistan, brought him to Canada. When I asked about his dog being so skinny, he said that he eats very little, a little bit here and there, so they started feeding 4 times a day.